Sold as a set of two (with or without speakers). Holes must be drilled for factory style Push Rivets. 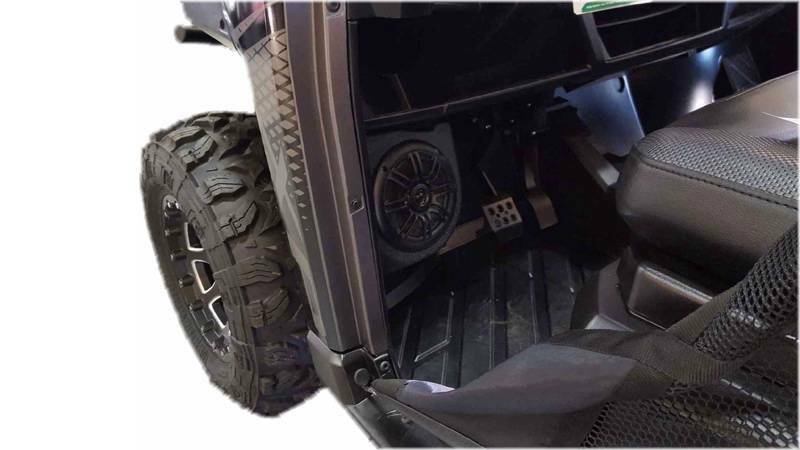 Perfect for Custom Ranger Projects. 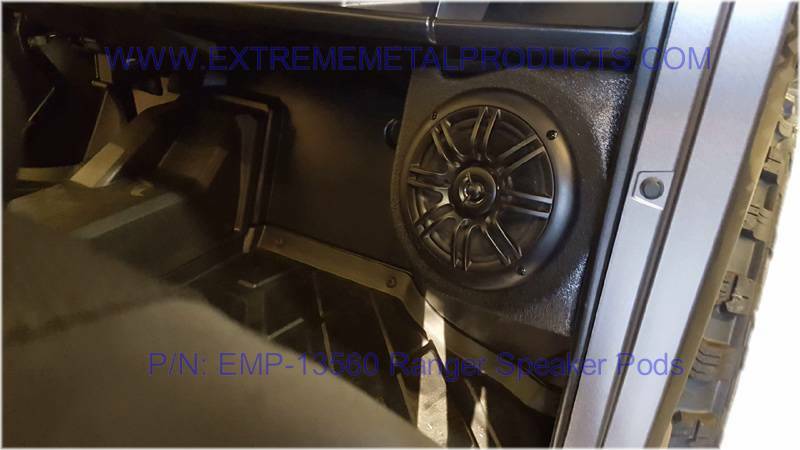 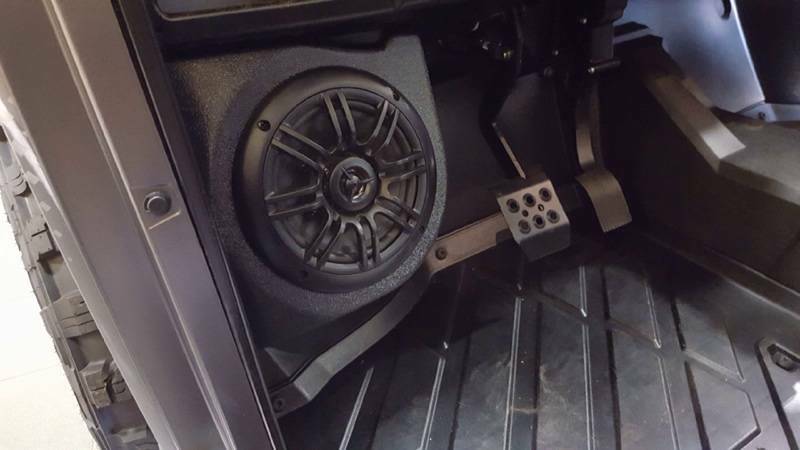 Now, you can mount 6-1/2” Speakers under the dash on your Polaris Ranger. 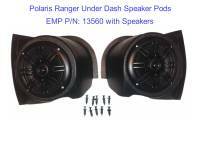 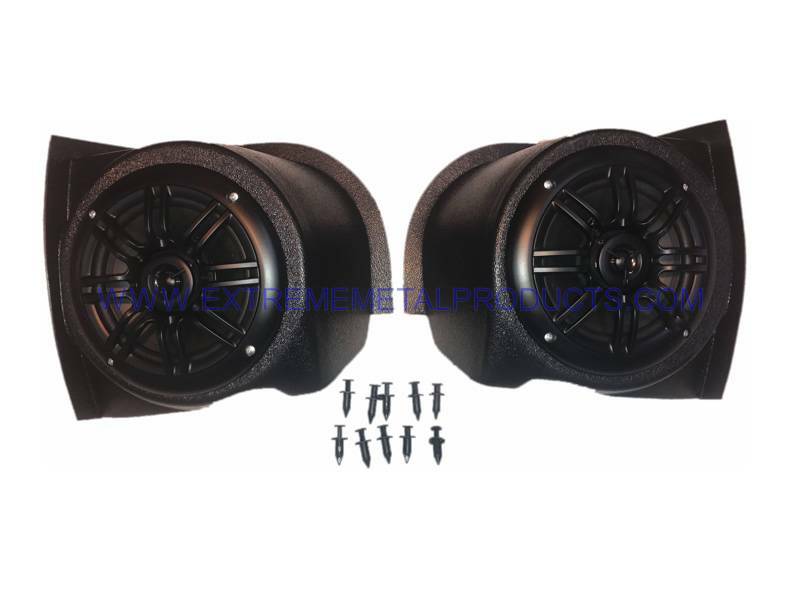 These stylish speaker pods hold a 6”-6-1/2” Speaker or buy them with the speakers included. 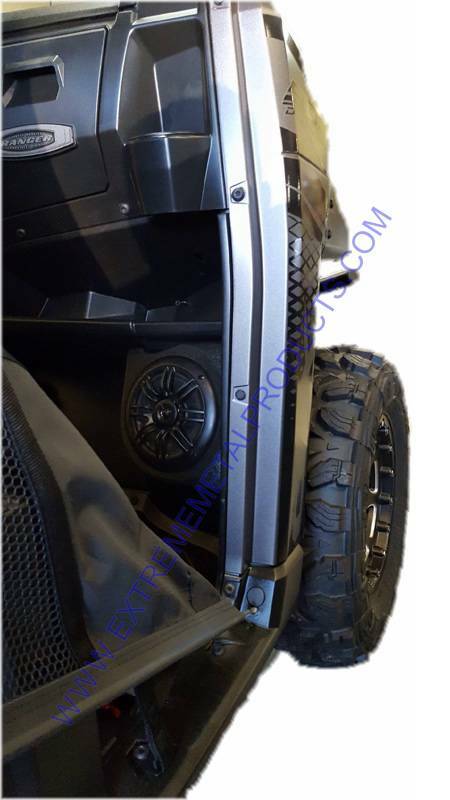 They install with factory style plastic push rivets. You must drill 5/16” holes for the rivets. 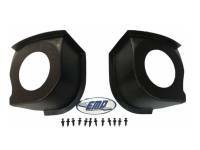 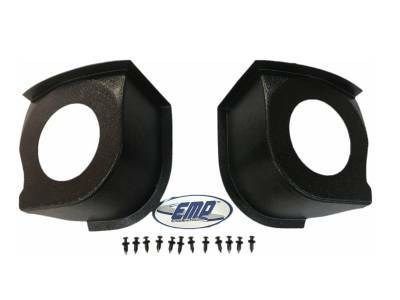 Pair these with the EMP In-Dash Stereo P/N: 13513 to complete your stereo system.